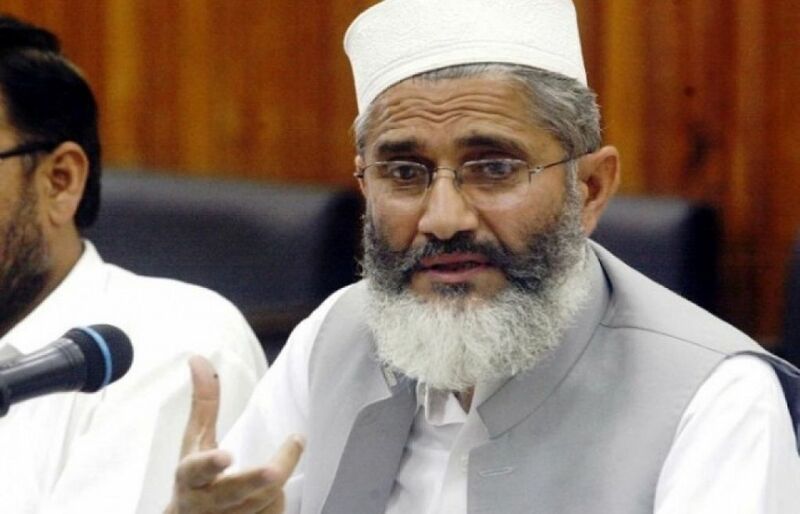 LAHORE: Jamaat-e-Islami (JI) chief, Senator Siraj-ul-Haq has said that the NAB chairman spoke of “speediest accountability”, but was not ready to practically do anything in this respect. Addressing the participants of a JI central workshop at Mansoorah on Tuesday, Haq said that the accountability courts should conduct speedy trials. He also said that the ousted prime minister is trying to defame the courts so that the people lose their confidence in the judiciary. The JI chief said that the rulers are saying that the masses aren’t getting justice, the educational institutions are without education and the hospitals are without healthcare facilities. However, they are not ready to admit that they themselves are responsible for poverty, illiteracy, injustice, lawlessness and unemployment. If the political parties who have been in power for three to four decades are speaking of the problems faced by the masses, they must admit that they themselves are to be blamed for the problems, added Haq. The JI chief said that the government wants to become a political martyr, but this time its desire might not be fulfilled. He also said that a government of technocrats was merely a presumption. Haq said that the election commission would have to ensure electoral reforms before the 2018 elections and all those who have been named in the Panama leaks, those who had devoured huge bank loans or had availed NRO must not be allowed to contest in the upcoming elections. The entrance of cheats to the assemblies needs to be blocked in order to conduct fair and free elections. He said that as long as the elections remained a game of the billionaires, an honest middle-class man could not think of winning them.